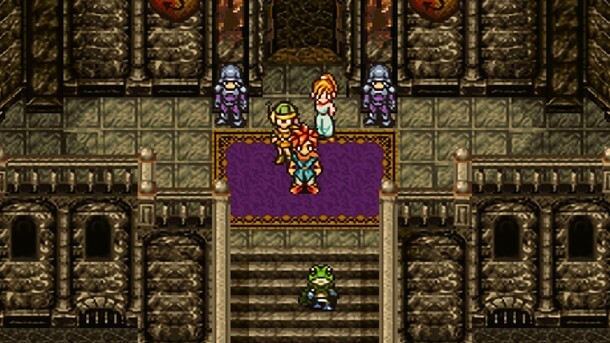 Chrono Trigger's surprise Steam release has been plagued with graphical and UI issues since launch, but Square is hoping to continue working on them for at least two more patches, one of which is available now. The latest patch updates the in-battle UI to make it more navigable for users playing a on keyboard or controller (previously, it was more optimized for a mouse, since it was based on the iOS version). Users can swap between the old and new UI in the options menu. The graphics for character sprites on the world map have been brought more in line with the original release, and the animated cutscenes have gotten a resolution bump as well. The patch also fixes several bugs, lets players pause during combat, and fixes some of the Korean text. The previous patch added the option to change the graphics from the iOS graphics to the original, but this one will hopefully address to the issues that arouse from that option. Square also promises another patch is planned for early June. That patch will make more improvements to the UI and control schemes. To see what the game was originally like on release, check out our episode of New Gameplay Today on the game. Someday, this port will be as good as the game Square released over 20 years ago. But not quite yet!